TGIF! And it got here sooner this week since it was a short one with Labor Day on Monday. Who's ready for fall and cooler temps? Me. And I was inspired by several fall home tours and posts I saw online this week. Today's faves include fall decor ideas, a fall sign DIY, a Swedish eating area, fall coffee table decor ideas, and some favorite finds. Isn't this a pretty kitchen? It's authentic Swedish and has the signature soft colors and timeworn furnishings. 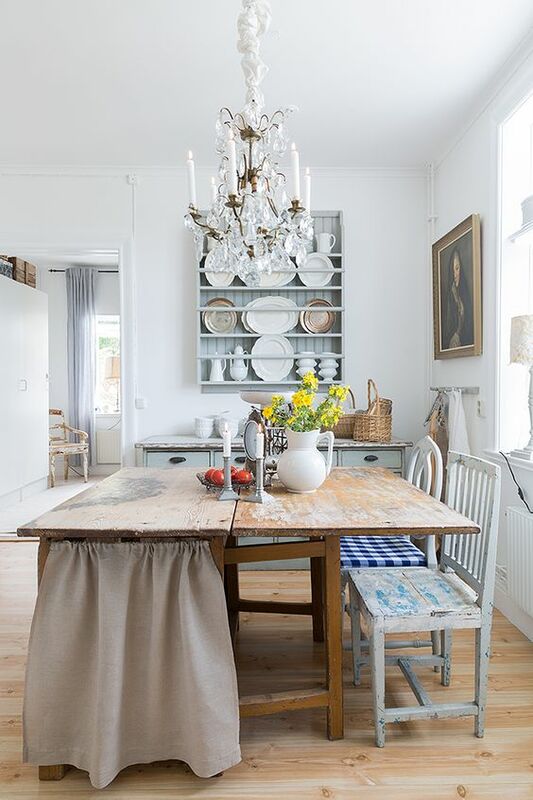 The chandelier, server, white dishes and silver trays are all lovely. 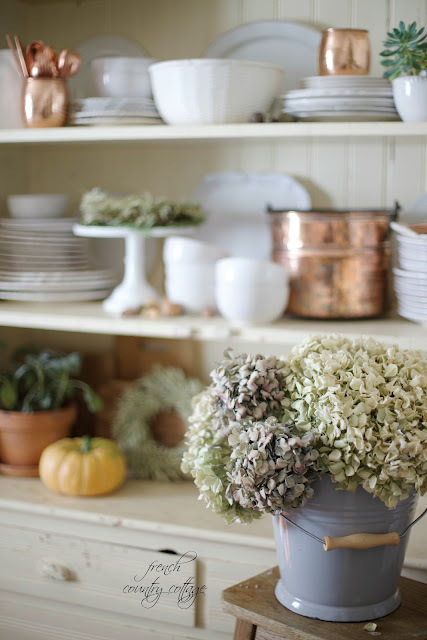 As usual, plenty of inspiration is found in this fall vignette from French Country Cottage. The natural elements and the copper are my favorites. What do you like best? See it all here. April at House by Hoff has a tutorial for this charming sign and it's so simple that you could do it in an afternoon. And isn't her decor just perfect? Get her tutorial here. The photography is always artsy and inspiring over at 5ftinf. She uses lots of color and items with patina and arranges them just right. Suzy at Worthing Court shares 2 ways that she decorated her coffee table and they're both stunning. You can see them both here. I have a weakness for blue glass and found these pretty blue pressed glass items from the Ree Drummond Collection at Walmart online. The color looks just like the ever popular blue mason jars. You can find the Ree Drummond Collection here. And last but not least, this wine barrel lid tray spoke to me. If you follow me on instagram then you know that my husband and I celebrated our 25th wedding anniversary last week in northern California. The trip included a few days in Napa county and it was a dream come true. We visited several wineries, sampled wine, ate lots of good food, and shopped at some charming locally owned shops on the city squares. I'm hooked on Napa style now and the casual way of life found in wine country. Not that I wasn't glad to get back home, but I want to incorporate more of that type of style into our home. Anyway, the wine barrel lid tray reminded me of our trip and it made my favorites list this week. You can find it here. What has inspired you lately? Fall tours? Catalogs? Magazines? I love finding inspiration everywhere. Leave a comment below and let me know what inspires you. 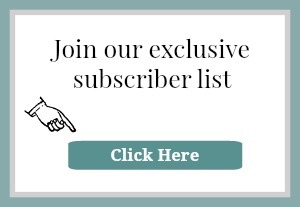 Be sure to subscribe to updates here so you'll receive all upcoming Friday favorites, Sunday open house tours, decor ideas, and so much more. Hi Angie. Thank you so much for including my coffee table in your great roundup!